Brain games are a great way to pass the time with on your Windows Phone. They can be entertaining, educational and good exercise for your noggin'. 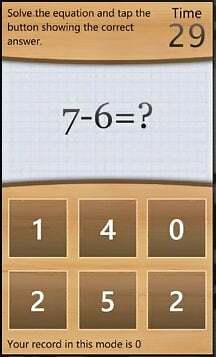 Brain App is a four challenge brain game from Chris Meyer that is challenging enough to keep you interested but not too difficult to get you frustrated. 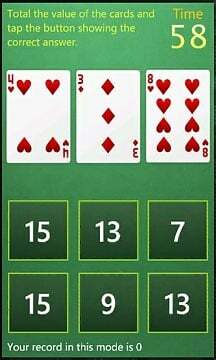 The Windows Phone game includes math, sequencing, and identification challenges that have both easy and advanced levels. If you like brain stimulating games, slide on past the break to see how Brain App measures up. Brain App opens up to a multi-page hub that includes pages that summarize your current Brain App IQ, launches the challenges, displays your scoring summary for all challenges, and an About page that has a link to the Brain App website. Speed Math: Choose between 30 and 60 second exercises that will present you with a series of basic mathematical equations. Correctly answer as many questions as possible within the allotted time. 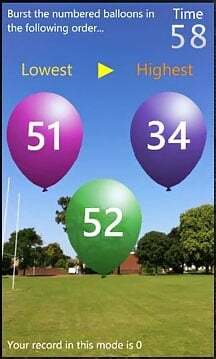 Balloon Burst: A collection of balloons will appear on the screen labeled with various numbers. Your job is to pop the balloons (by tapping on them) as the directions call for (e.g. lowest value to highest). You job, burst as many grouping of balloons as directed under the time frame. Card Counting: A group of playing cards will appear and your job is to calculate the sum of the cards. For example the nine of hearts, ten of spades, and two of diamonds equals 21. Color Chaos: Your job, choose the correct color of the word displayed. 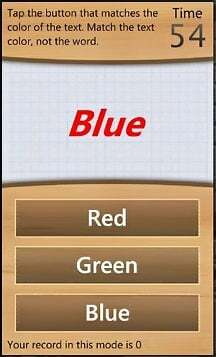 Be careful with this exercise because your instinct will be to select the color the word reads. If the word "Green" appears in blue lettering, the answer is blue not green. After each exercise your Brain App IQ is adjusted accordingly. 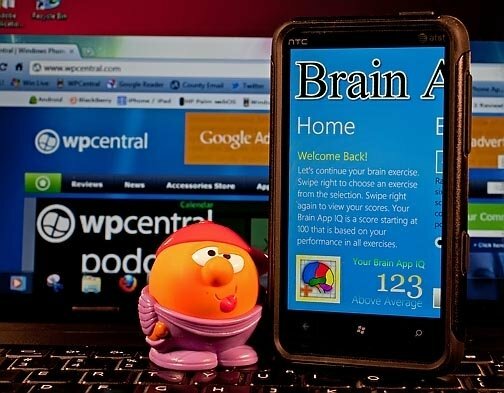 Brain App is a fun, challenging brain game for your Windows Phone. It ran smoothly and had a mild addictive quality to it. Again, the exercises are challenging enough to keep you interested but not too challenging to make you frustrated. I would have liked to have seen player profiles to let you share the game with friends or your children. The math exercises are a great way to hone your child's math skills. But their performance will reflect on your Brain App IQ. It's not a deal breaker, but something that would be nice to see with future updates. There is a free trail version available for Brain App with the full version running $1.99. You can find both here (opens Zune) at the Marketplace.